SCHAUMBURG, IL (August 2016) – HEIDENHAIN is pleased to announce the introduction of the new and improved +/- 1um accurate ACANTO 1217 and 1218 Length Gauges. Paired with the proprietary bi-directional serial interface EnDat 2.2, operators can now monitor gauges being used in production and detect failures BEFORE they occur, allowing mangers to plan and maintain optimal production levels and minimize machine down time. Along with built-in error monitoring, the ACANTO remembers the last datum used thanks to the EnDat interface, so there is no need to re-master due to the gauge itself (environment and machine growth may require remastering independent of the gauge). The ACANTO also auto-connects and reports data to any control that has implemented EnDat. With an IP rating of IP64 or IP 67, the ACANTO can be used on the shop-floor in automated systems or in clean environments. The ACANTO can be implemented in a multitude of gauging applications, from automotive manufacturing, medical device, in-process measurements, as well as fixtured gauging stations. 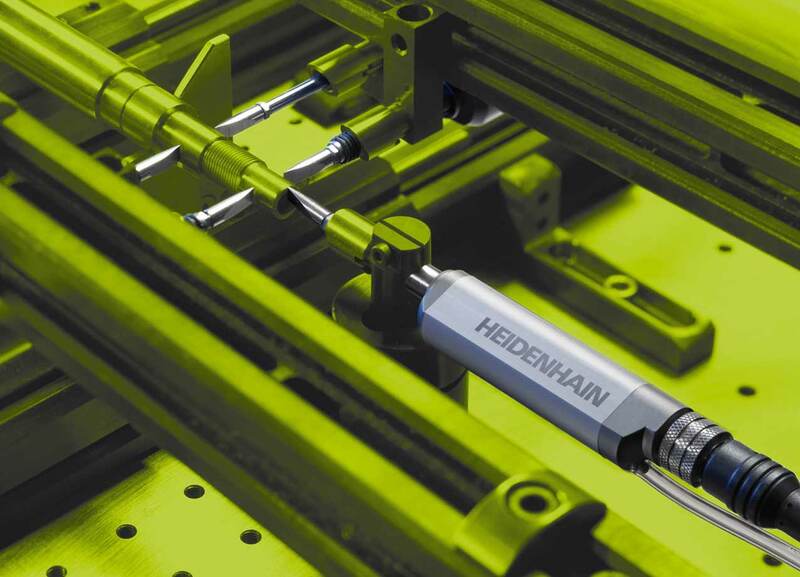 This update is just the latest improvement to the growing Length Gauge portfolio at HEIDENHAIN.